Although the legal battle between Christian Louboutin and YSL is the early frontrunner for intellectual property and fashion dispute of the decade, forcing many otherwise fashion-phobic attorneys to take a stab at pronouncing the parties' names, the celebrations surrounding Louboutin's 20th anniversary continue. 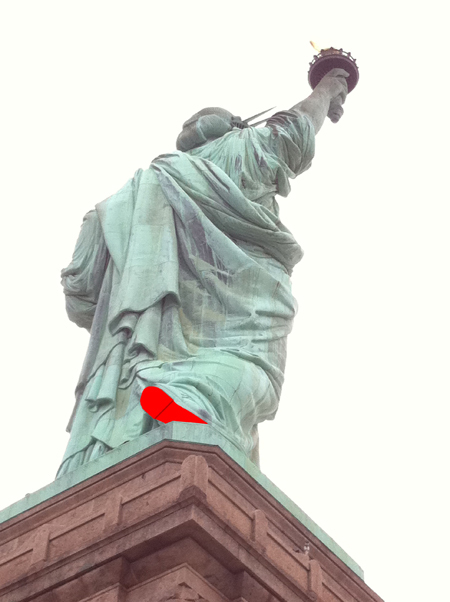 Alas, Lady Liberty only wears flats -- but after being on her feet for 126 years, the choice is understandable. For more about the collaboration and an opportunity to visit the Statue of Liberty why she's still so stylishly shod, click below. Continue reading Lady Liberty's New Look.